“The Zookeeper’s Wife” is a notable film about Jewish survival, but is not a film about Jews. Based on a true story of a non-Jewish Polish married couple who ran the Warsaw Zoo at the outbreak of the Second World War, “The Zookeeper’s Wife” – adapted from the book by Diane Ackerman – is one of a growing number of dramatic films that tell the stories of Righteous Gentiles (think “Schindler’s List” and “Irena Sendler”). The film opens in summer of 1939; an idyllic “Belle Epoque” Warsaw Zoo appears like a Garden of Eden, with strange animals running after their almost-rapturous keepers, Antonina Zabinski (Jessica Chastain, “Zero Dark Thirty” & “Interstellar”) and Jan Zabinski (Belgian actor Johan Heldenbergh), accompanied by their contemplative young son Ryszard. The Zabinskis love their animals, and New Zealand director Niki Caro does an extraordinary job of showing human-zoo animal intimate interactions, such as healing a sick young elephant (if it was special effects, I couldn’t tell). The peaceful retreat doesn’t last. When the Germans attack Poland and bomb Warsaw, the zoo is decimated and lives are changed forever. The narrative is familiar: the Nazi occupation, attacks on the local Jewish population and development of the Warsaw Ghetto. But what happens next is a first for Holocaust screen stories: Antonina and Jan grow a plan to slip Jews out of the ghetto and hide them in a labyrinth of tunnels and cellars at the zoo, creating an “underground railroad”. The pretext is raising pigs (the “treif” juxtaposition is not explored) for food by using ghetto garbage. A sub-plot involves the Nazi Director of the Berlin Zoo, Dr Lutz Heck (German actor Daniel Bruhl) attracted to Antonina. Other notable historical figures appear, including Dr Janusz Korczak, who ran a famous orphanage in the ghetto. The film has a convincing production design (shot in Prague), fabulous animals and strong acting from the principals, especially Chastain, who rivals Meryl Streep (“Sophie’s Choice”) with her Polish accent. Despite its strong Holocaust and war themes, “The Zookeeper’s Wife” does feel tame at times; it’s rated “M” (“not recommended for children under 15”). Most violence and killing, including the animals, happens off-screen. This “soft pitch” film-making shouldn’t give nightmares, but does undermine the dramatic impact of what is still a great story. A conversation with two close friends a few weeks ago – just after the Academy Awards presentation this past February – made me realise yet again how often we miss the real characterisations in films. Some years ago I loved the 1982 film Sophie’s Choice, conveniently ignoring (or at least somehow not noticing) that the characterisations of Jews in that film were all, somehow, slanted and skewed. The two major characters – one played by Kevin Kline (an actor who is a personal favourite of mine) and a young woman who dates the young writer Stingo (Peter MacNicol) – both become victimisers, and the symbol of the Holocaust becomes Sophie (Meryl Streep, another favourite of mine), a non-Jewish Polish woman whose father was a fascist. Beginning with the 1959 movie The Diary of Anne Frank, there have been 22 Oscar nominees that, in one way or another represented the Holocaust, and since Shelley Winters won for Best Supporting Actress in 1959, 20 of these movies garnered at least one Academy Award. The all-time winner of Academy Awards was 1993’s Schindler’s List, with nine Oscars, including Best Picture. Other big winners: Cabaret (six in 1972), The Pianist (three in 2002) and Judgment at Nuremberg (two in 1961). Meryl Streep won her second Oscar for Sophie’s Choice, and “Adrian Brody and Shelley Winters are the only actors to have won Academy Awards for playing a Jewish character in a Holocaust-themed movie”. So this year the much-cheered Ida won the best foreign film award, beating out the (in my opinion) much superior Leviathan, a contemporary Russian film that has captured the “moment” of a corrupt but empowered Russia that has seen an undeclared civil war in the Ukraine and a heightening of tensions throughout Europe. He is making a declaration: there were Jewish victims of the war in Poland—Jews who were killed by Nazis and, yes, even by Poles—but that Jews weren’t solely victims. Jews, too, were killers, including those who got their revenge on Poland by propelling themselves to power with the rise of Communism…. The evenhandedly editorializing accusations that Pawlikowski builds stealthily into the movie are repellent. Even as he nourishes the notion of collective or national guilt—and seeks to expiate it—with the movie’s ceremonial tone, Pawlikowski also insinuates that the victims were no angels, either, and that maybe some of them have something to atone for as well. “Ida” is, in effect, “12 Years a Slave” in which Solomon Northup shows up in the South, after the Civil War, as a carpetbagger. Ultimately, the movie legitimizes resentment of the very Jews who were murdered on Polish soil—even at the hands of Poles. I have a hard time disagreeing with Brody. So here again is a Holocaust film lauded by “the Academy” – and presumably voted for many of the Jewish voters who are members. Did they really know what they were voting for? Or were they, like many others, taken in by the pseudo-historical black and white photography, and lulled into believing that Ida was a true representation of Polish-Jewish life in the early 1960s? Ida, the latest film from Polish-born, Paris-based director Pawel Pawlikowski presents an unremittingly bleak and austere portrait of Poland in the early 1960s, in the shadow of World War II. The story is simple. Young Anna (Agata Trzebuchowska) has been living in a convent for many years and is about to take her vows as a nun, when the Mother Superior comes with some unusual news: her aunt Wanda (Agata Kulesza), her late mother’s sister who is a lawyer and former public prosecutor for the Polish communist government, has made contact to meet her. Anna is to spend some time with Wanda before the finalisation of her vows. When Anna arrives at Wanda’s flat, she discovers a chain-smoking, hard-drinking and depressed woman along with a family secret that shakes her sense of self: Anna is Jewish, and her parents and the rest of her family all killed in the Holocaust. Anna’s birth name was, in fact, Ida. She and Wanda then set off together to the village where her family had lived in order to determine the real facts of her parents’ deaths. Along the way, Anna/Ida meets a young musician who falls in love with her, and Wanda continues her boozing and dissolute lifestyle, haunted by her own life decisions. Critics love this film (it currently has an outstanding 98% “positive” rating on the Rotten Tomatoes film critic website), and has won numerous awards. It’s not hard to see why. It is beautifully shot in black in white, evoking a bare, emotionally – and physically – cold and dreary Poland that surely is as close to capturing the spirit of that time as any recent film has. The performances are subtle and powerful, particularly that of Trzebuchowska in the title role. She has few actual words to say, but is on-screen for a large part of the film, relying on an inner stillness and contained watchfulness to show her character’s emotions. In an age when film-makers think nothing of creating films of many hours’ duration, “Ida” is short and to the point: 80 minutes long. There is also a fascinating cinematographic style, with the subjects in some scenes positioned at the bottom of the screen. I am not quite certain what director Pawlikowski is trying to say, but this film will give some years of film students something to talk about in class. However, from a Jewish standpoint, I find “Ida” profoundly depressing and problematic. All of the film’s implicit conclusions about Jewish life in its aftermath of the Holocaust are negative. Yes, the film illustrates the tragedy that Ida never knew her parents (she was virtually a baby when given over to the convent). Similarly, the Polish family that at first shielded her family – and most Poles in general (excepting the nuns and a handful of others) – are not presented in a positive way. But – IMPLIED SPOILER HERE (please do not keep reading if you do not want to know more about the plot) – the life decisions of the two key characters (Ida and aunt Wanda) indicate that the Holocaust has so damaged both of their lives that their only options are to turn away from being Jewish, each irrevocably in their own way. The fact is: THIS MAY BE A TRUE INDICATION of what could happen, and consistent with these characters and this story. But as they are the only two Jewish characters who appear on screen, we are left with a blankness and a nothingness that has no-where to go. This may have been the director’s intention. It is true that some 90% of Polish Jews were killed by the Nazis (about 3 million of 3.3 million living there at the start of the war), more than any other country (see the Jewish Virtual Library and Yad VaShem), so my argument is not with the facts of the destruction of Polish Jewry, but with the narrative conclusions. Were Wanda’s and Ida’s two choices the only ones? I think not. 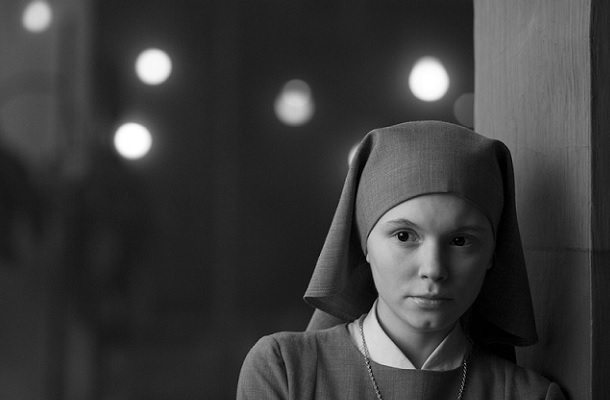 “Ida” is in Polish with English subtitles. You are currently browsing the archives for the Poland category.